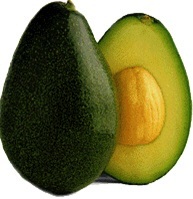 Fuerte avocado is green with a smooth peel. Its maturity signs varyaccording to differentvarieties, but it is common in all the varieties that when mature,it yields to gentle pressure(should be less mature and tighter when cut in slices). Avocados are harvested relatively immature. To ripen properly, we can seal them with a ripe banana in a plastic bag and leave them at room temperature. We can also put the avocados covered in flour, in a closed jar. You shouldn’t refrigerate avocados unless when ripe. 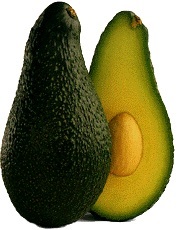 The period Fuerte avocados thrive is from November to April. 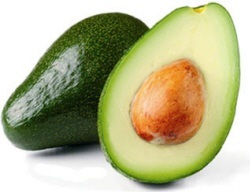 Hass avocado is a variety with very dark green peel with coarse and rough skin. It was created by Rudolph Hass, a mailman and amateur botanist. A young tree of Hass variety produces 200-300 grams’ fruits. When the fruit is ripe, it becomes dark purple-black color and yields to gentle finger pressure. The Hass variety is the most important commercial variety worldwide. The period Hass avocadosthrive is from March to July. 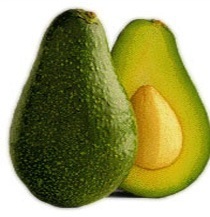 Zutano avocado is light green with a glossy and smooth skin. 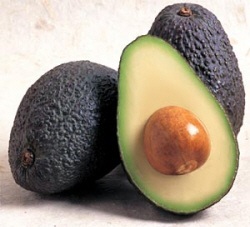 The commercial period that Zutanoavocados flourish is from November to January. Bacon avocado is green with smooth skin. The commercial period of Bacon variety starts in November and ends in February. Pinkerton avocado is green with a bit thick peeland slight pebbling.